A look at Rural Electrification Figures. The facts are glaring and sadly so. 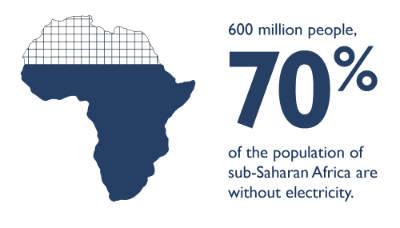 2 out of every 3 person in Sub-Sahara Africa do not have access to electricity. That’s a whopping 70% of the total population living in the dark. These facts at a global scale are more vivid when looked into at country level. Thanks to information gathered from Power Africa’s data base, Africa Opportunity Platform in the table below samples electricity connectivity rates in a number of Sub-Saharan African countries. What stands out in the table is the low rate of rural electrification with a country like Niger having a rural electrification data as low as 0.4%. This table is far from exhaustive but paints a general picture of what pertains all over sub-Sahara Africa. The Role of Local Governments. In the early 2000s many African leaders under pressure from international communities passed several decentralization laws. Under the new dispensation, power has been gradually divulged from the central administration to local and municipal councils. Local and Regional governments have been charged with the responsibility of bringing last mile development to their municipalities. With intermittent and unreliable grid connections all over the sub region, Renewable Energy sources have become more and more popular as alternative sources of energy. Through off-grid and mini grid connections, local communities stand a chance of getting access to clean affordable energy. Solar Photovoltaic plants are proving to be the choice alternative for most local governments. Global investors and key actors in Africa’s development such as the AfDB, World Bank and many Renewable Energy Independent Power Producers such as Africa Opportunity Platform are actively seeking for Public Private Partnerships (PPPs) with local governments for renewable energy rural electrification projects. Local governments are viable off-takers of renewable energy projects. Through Power Purchase Agreements (PPAs), these power producers are able to generate and sell electricity to millions of rural inhabitants through their local governments. So as we look into the future, Local governments in Africa have TWO key roles that they can play to boost their rural electrification rates. Take firm commitments to develop local renewable energy: Sub-Sahara Africa is one of the regions in the world with an abundance of renewable energy sources particularly Solar, Wind and Hydro. Solar radiation rates in the region are amongst the highest in the world. However these sources are largely under exploited. The solution is in developing off-grids and mini-grids that can serve the needs of their locale. Through PPAs, local governments can open doors to millions of Foreign Direct Investment into their communities through renewable energy projects. Require solar on all new buildings: The population of the continent is growing exponentially leading to rapid rates of urbanisation. As more and more rural communities are being transformed into cities, local and regional governments are charged to provide low cost affordable houses to their inhabitants. It will be cost effective to blanket all new building with solar power which is more affordable and clean. 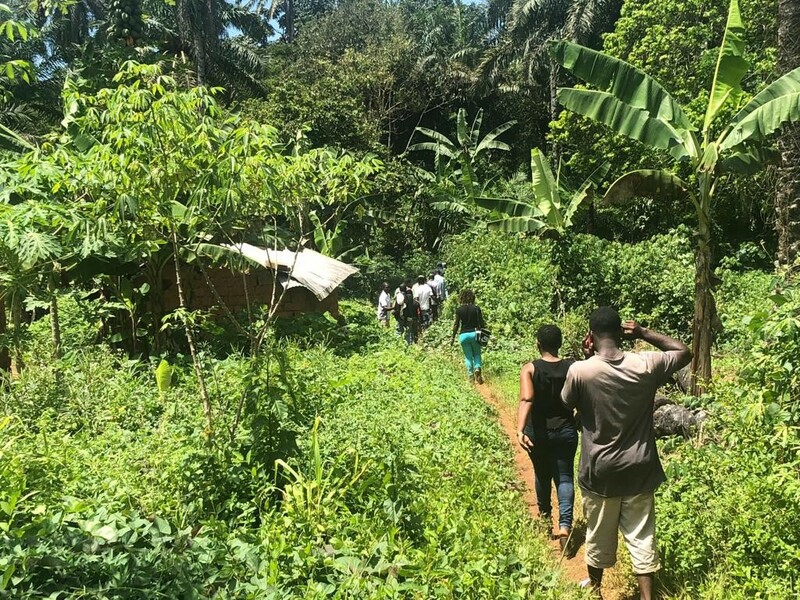 Aware of the strategic role local governments have in boosting rural electrification, AOP’s focuses on public private partnerships with local governments to light up rural Africa one community at a time. The challenge is that in some countries in Sub Saharan Africa, energy is not decentralized matter. Some countries handles energy matter at the national level only. No office responsible for energy at the local government level. I propose that we first advocate those countries that have not decentralized energy matter to do so allowing people at the grass root participate is solving the challenges of low access to the modern sustainable energy. Your thoughts are very apt Matimbwi. The problem begins with the system of government and national policies. Electricity should be handled at a grass root level, giving power to the people through their elected local governments in order to source and partner with independent power producers. This way it is cheaper and reaches inhabitants even in the most hard-to reach rural communities. Agreed Matthew and Pride, AOP has been busy discussing with the State and Local Government looking for a permanent solution to Africa renewable energy rural electrification needs.